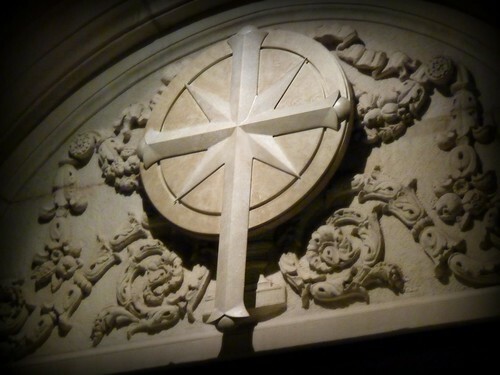 Scientology Cross on the Founding Church of Scientology, Washington, D.C.
A college anthropology student sent me a question from my Scientology Parent page, as she’s doing some study for her class on how family history & background can lead people to various religions. As she was studying about Scientology, she was curious how my own family and significant events in my life led me to Scientology. Her questions were thought-provoking on my part (an angle I’d not yet thought about) so I figured I’d post my answers here. I touched on this when I was answering a similar question for another student here, but I’ll try to tackle both parts of that question. But I’d say that by the time I was about 11, I was completely, and by my ownvery conscious decision, a Scientologist. And, as you can see from my writing, that’s not something I’ve regretted. 🙂 Hopefully that answers your questions. Very nice description. It shows your personal decision and I like that a lot. Very well elucidated! It’s quite clear and makes sense. I especially like “in going to church, one should be going so as to achieve some benefit to one’s life that one actually desires oneself.” I think that’s really a reason to do anything in life.